Over the past few months, I have received several calls regarding electronic signatures. Can we? Should we? Are there any compliance-related issues? Some advisors are adopting e-signature technology and policies. Is it right for your firm? Over the past few months, I have received several calls regarding electronic signatures. Can we? Should we? Are there any compliance-related issues? Has the Securities and Exchange Commission addressed the issue? Is there a corresponding Advisers Act rule or guidance from the commission? This column will address these issues. Does your firm currently permit electronic signatures or is it considering doing so for new client relationships? If so, there are certain rules and considerations to follow to ensure that your electronic signatures are legally binding agreements with your clients and are admissible in a court room or arbitration proceeding. In addition, an SEC-registered investment advisor (RIA) must adhere to certain requirements set forth by the SEC for electronic records. There are two major laws to consider prior to implementing an electronic signature program. The first major piece of legislation is the Electronic Signatures in Global and National Commerce Act (ESIGN). 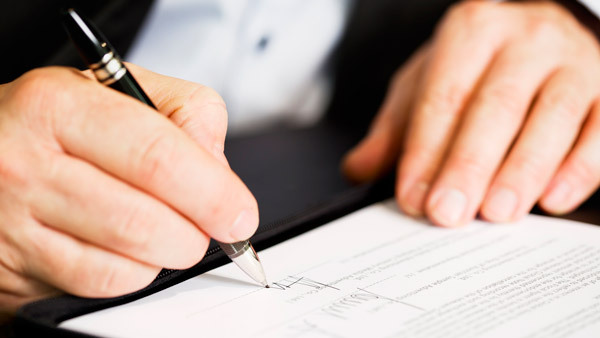 ESIGN authorizes the use and acceptance of electronic signatures. The second cornerstone of electronic signature law is the Uniform Electronic Transaction Act (UETA). UETA is the model or uniform state law counterpart to ESIGN. It hasn’t been adopted by all states, so it is important to know the law regarding electronic signatures in the states in which your firm does business. As a general rule, if ESIGN and UETA apply to your firm’s electronic signature program, then the signatures cannot be denied legal effect solely because they are in electronic form. ESIGN defines an electronic signature as “an electronic sound, symbol or process attached to or logically associated with an electronic record, and executed or adopted by a person with the intent to sign the record.” UETA has a similar definition, but again, each state has adopted a slightly different definition. It is important to note that ESIGN actually places limits on the SEC’s authority to implement rules concerning electronic signatures. Because of this, the SEC revised Rule 204-2 to be “technologically neutral” and permits advisors to implement any combination of technological and manual protocols that meet the requirements of the three prongs above. Therefore, it is important to implement a written policy or procedure to be compatible with your electronic signature in the event you adopt a platform for gathering clients’ signatures through electronic means. Lastly, it is important to conduct due diligence on the electronic signature program or platform prior to its implementation. The firm must be confident that the program or platform has an appropriate level of security and also has the ability to link the signed document with the signer. As someone from the old school, when it comes to execution of critical documents (e.g., investment advisory agreements, an IPS or similar documents), I prefer a hard (originally executed) copy. That being said, old-timers like me need to be forward thinking and let our clients decide, given the technology that is now available. Consider the above to determine if electronic signatures make sense for your firm. We have developed policies for several firms that have determined to use electronic signatures, but are electronic signatures right for your firm? You decide.